Indie Retro News: Cannon Fodder - The best War game on the Amiga, play it now PC/MAC Gamers! 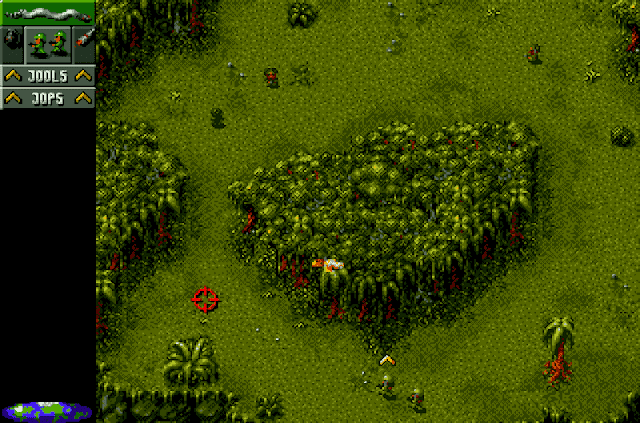 Cannon Fodder - The best War game on the Amiga, play it now PC/MAC Gamers! No words can describe just how amazing this game is, there isn't that many people on this planet right now that haven't heard of Cannon Fodder. A military game with a sense of humor and a cool music soundtrack to boot! If you love controlling armies of little men, that you care so much about, while shooting the bad guys in a splattering of blood, then this is the game for you. Furthermore apart from the PC versions which are available to buy on GOG, and the cool Amiga CD32 compilations, you can of course check out the easily launchable Amiga versions on a PC/MAC either via The Company or GamesNostalgia. Cannon Fodder was released in 1993 by Sensible Software and published by Virgin Interactive. It is one of the best top down war based shooters I have ever played in my life (War has never been so much fun). 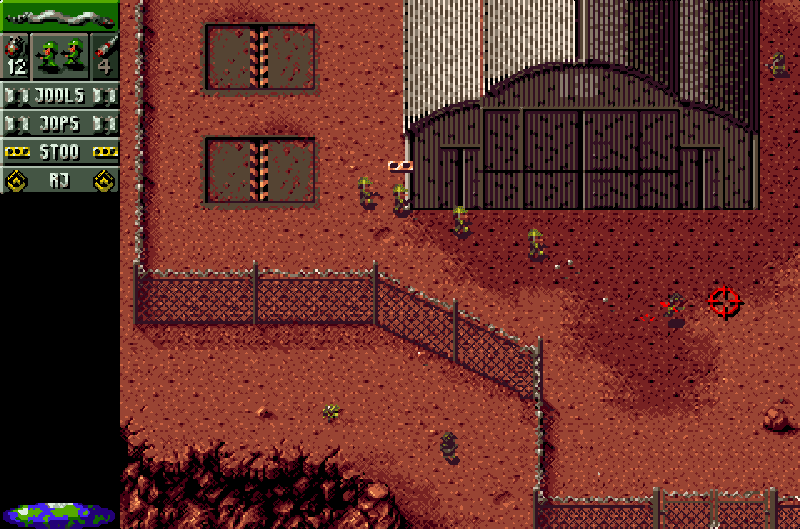 It is an action-strategy shooter first released for the Amiga and then ported to DOS, Atari ST, Archimedes, Jaguar, Mega Drive, SNES and 3DO.